Written by Rm Harrington on . 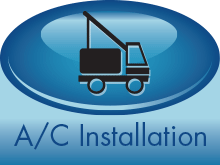 Posted in AC Installation, Arizona Air Conditioning Installation, Mesa Air Conditioning. In a recent survey of 492 HVAC contractors, researchers established a 12-14 year average replacement cycle for residential air conditioning systems. The study also showed that many homeowners opted to replace the existing system before the product reached end-of-life usefulness. In most cases the decision for early AC replacement came about due to a perception that the cooling capacity and cost of unit operation was in excess of the homeowner’s expectations (1). End conclusion: The efficiency of AC system performance plays a major role in how homeowners evaluate the useful life of a residential air conditioning system. According to the Energy Star central air conditioner overview report, reaping the full benefits of an Energy Star certified heating and cooling system also requires that you “take steps to optimize” the practical performance of the system (2). In other words: even when a homeowner installs a new energy-efficient central A/C, successfully achieving an increase in performance depends on the skill, knowledge and applied principles of the HVAC installation crew. One might think that proper installed air conditioning comes with the turf. Alas, this may not reflect actual conditions. The FCC survey included field tests of 70 residential A/C systems in Arizona as well as field tests of 27 systems in central California. In both test cases, the performance of the examined units failed to meet the system manufacturer’s declared Energy Efficiency Ratio (EER). Of the 70 units tested in Arizona, the average performance deficiency came in at 40% lower than the EER rating for the given unit. Primary cause for underperformance: Insufficient airflow across the evaporator coil. 2) Latent Cooling… The effective process of removing moisture from the air. If the airflow over the coil is too high, the system is compromised. Moisture removal falls short, and fan power gets elevated. If the airflow is too low, reduced system cooling occurs, and the system EER falls short. Furthermore: Extreme hindrance of airflow can cause icing of the evaporator coil. Likewise: Continuous problems with icing can lead to refrigerant flood-back. End result may even include early failure of the system compressor. The dry Arizona climate typically equates to a low latent/humidity factor. When a Mesa home A/C system is correctly installed, years of maximum-performance efficiency become readily possible. Furthermore, if a home system is not aged-out but is rather suffering from major installation problems, correcting the errors can effectively restore new life to an older air conditioning unit. In essence, if your new energy-efficient home air conditioning system is incorrectly installed, it may actually perform nearly as badly as your aged and inefficient replaced unit. It may be that your failing home cooling system is merely the consequence of a poorly installed unit. Or perhaps, time has played a role in the lack of adequate system performance. External conditions can change, wherein new obstacles now hinder the airflow to your external condenser unit. Duct sealant can fail and cause air leaks. Even in-duct grime can be a problem. Before discounting the efficiency of your Mesa home air-conditioning system, consider the steps of proper AC installation as listed below. An American Cooling and Heating home AC checkup can answer all of your questions, and if a new unit becomes the preferred solution, ACH will ensure that your system is correctly and effectively installed. When possible, install ductwork inside the region of air-conditioned space. Be your AC old or be it new, the ACH team is ready to help you get the most bang for your heating and cooling buck. Call us now! Written by Rm Harrington on . Posted in Cooling Tips, Mesa Air Conditioning. Frozen air conditioning on a 97+ degree Mesa Monday is not merely unfortunate; it is downright miserable. Humidity hangs at 22-percent, and the average Mesa, AZ wind factor creeps in at less than 5-mph. Experiencing summertime Arizona without functional in-home cooling establishes a new concept of emergency necessities. First signs of a frozen heat pump or a frozen A/C condensing system typically include inadequate airflow through your home registers. An air conditioning system covered in ice concludes the investigation. An iced-over evaporator coil cannot effectively transfer inside heat into the outside air. TIP! Before you call someone to help you fix your system, be sure to know what sort of system you have in place. Get information on the make and model, plus if you have information on the history of maintenance, that will help, too. Although the Mesa homeowner can handle some solutions to a frozen cooling system, others will demand the services of a Mesa A/C repair center. The following pointers will help you resolve your frozen air conditioning issues. Checking your HVAC air filter is A/C 101 repair school priority. Inadequate airflow upsets the balanced operation of your heating and cooling system. The evaporator coil surfaces must be free of dirt buildup, both near and far. Although a bit easier to fix, a dirty air filter in the return vent creates the same cooling hindrance as dirt build-up directly on the coil. If it restricts functional breathing of the equipment, a frozen heat pump or frozen air conditioning system becomes the natural result. TIP! Every year hire someone to give your HVAC unit routine maintenance. This will ensure that it works properly throughout the entire year. Even the best of the best heating and cooling equipment can be overworked. For the most efficient and reliable performance, set your thermostats to 73-74 degrees. This should prevent your air conditioning from running continuously. If you have a programmable thermostat, consider setting your nighttime requirements at 74-75. The higher range will enable your system to gain some well-needed time off. While working with the thermostat, you may notice faulty readings. In this event, unless you are a skilled electrician and HVAC technician, call your ACH tech for assistance. TIP! Do you want to make sure your HVAC unit works for you like it should? It is important to have your unit maintained on a regular basis. The reputable technicians at American Cooling and Heating know how to understand consumer lay-talk explanations of A/C and HP problems. Call and share your HVAC questions about maintenance service on your system. 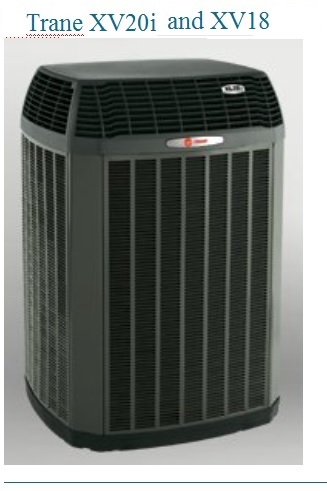 Low refrigerant is a common A/C and heat pump problem that should not be permitted to continue. Low levels of refrigerant sometimes cause the coil to become too cold. This freezes and accumulates the moisture in the air. In most events, homeowners lack the skill to test, repair or recharge an air conditioning system that is loosing refrigerant. So just remember this primary rule: Quality Air Conditioning technicians repair as well as recharge. TIP! Every month clean out the leaves and debris that may have settled into your outdoor HVAC unit. You’ll be surprised at how much gets caught in the grill work. 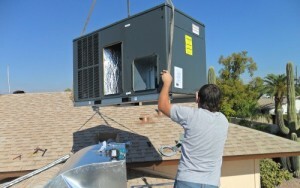 g) If the problem persists, contact American Cooling and Heating for 24/7 Mesa A/C repair services. Reports from the Environmental Protection Agency, disclose that a 30% increase in static pressure across the coil in your air conditioning system can spawn a $200 per 10,000 cfm swell in the price of operating your HVAC equipment. The expenditure does not include the outlay for clean up of drain pans, air ducts or dirty A/C oils. Written by Rm Harrington on . Posted in Mesa Air Conditioning, Press Release. American Cooling and Heating today released hidden bonuses in a new Mesa Air Conditioning Buyer’s Guide disclosing 5 tips to help homeowners reap best performance from a new AC installation. You don’t have to live in Mesa Arizona to make use of this Mesa Air Conditioning buyer’s guide. However, as a special promotion to Mesa residents, from now until July 9th, 2014 American Cooling and Heating is giving a “10% Discount On HVAC Maintenance Services*” to Mesa, AZ homeowners. So make it happen. The ACH 24/7 HVAC service team is on-call, stocked for repairs, and ready to roll into your neighborhood. Maintenance must be performed by an authorized American Cooling and Heating HVAC technician.